Make delicious homemade mayo in 5 minutes! Well, I did it! 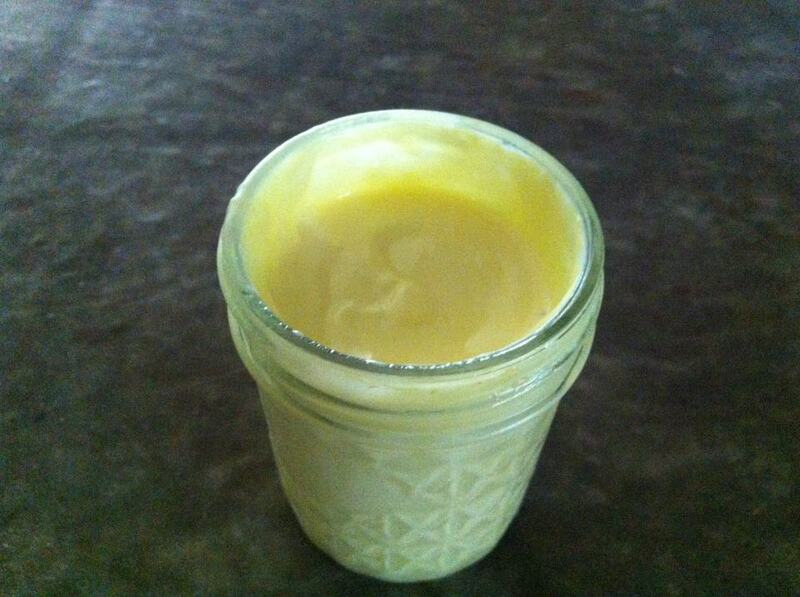 I made my own mayonnaise. It turned out really delicious! I am surprised by the taste and flavor. It really wasn’t too difficult either. 1 egg yolk (pasteurized, organic, pasture raised) *Note: The important thing to know when using raw eggs, is that you make sure they are pasteurized. Add all dry ingredients together then add egg yolk, 1/2 of the vinegar, and 1 teaspoon lemon. Then add 1/8 cup of oil mixture SLOWLY while whisking until thickened. As it thickens, you can SLOWLY add more oil (another 1/8 cup) whisking until thick. Do this until all the oil is gone. Note: If your mayonnaise does not thicken, then it is likely that you added the oil too quickly. After mayonnaise is thick, add the remaining lemon and vinegar and whisk a little more. Refrigerate. Use within 5 days. I am so happy with this mayo. It tastes so good. Posted by simplycookingrealfood on April 25, 2013 in Condiments. I’m even more excited for the egg-free version! I have accumulated some decent GMO material and trying to make some changes as well!